You are here: GeekSays Technology News » Apple » iPhone News » Samsung, reported to manufacture the next Apple A9 chips! If when it comes to smartphones, Samsung and Apple are the biggest rivals, competing every year for titles like “best manufacturer” or “best smartphone of the year”, the two companies are also business partners. Yes, you heard that right! According to the latest rumors, Samsung will make the Apple A9 chip, which will be used for powering the upcoming iPhone 6S, 6S Plus and, possibly, the 6C. As stated by a report from Bloomberg, the deal was initially rumored back in December, but this still comes a surprise for a lot of people. 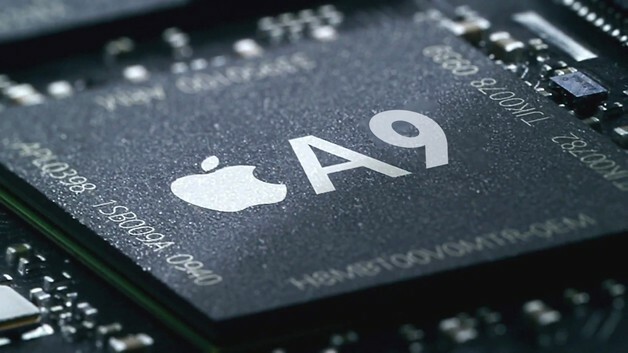 Like mentioned above, the two companies are major competitors, so Apple is constantly looking to reduce their reliance on Samsung, but in the end, the new Apple A9 chip will still be made by Sammy this year. Back in 2013, Apple struck a deal with Taiwan Semiconductor Manufacturing Company, also known as TSMC, but now they are back to Samsung, which also made 40% of the A8 chips used in last year’s iPhone 6. One of the main reasons was the fact that Samsung has way more advanced manufacturing technologies. And we must admit that the 14-nanometer process is pretty cool. Besides the new Apple A9 chip, the iPhone 6S will most likely feature Force Touch, but in a bit different way than the Apple Watch does. Also, there are a couple of sources pointing to a whole new camera, smaller and way more advanced, which will be easy to incorporate in the design of the phone. Any first thoughts on this? Do you think that working on the Apple A9 chips will help Samsung have an advantage over their main competitor when it comes to develop new technologies?